If you are looking for a concentrated stabilized chlorine dioxide mouth rinse you have found the right place. I've written about the AktivOxigen Drops before. These are manufactured by a dentist specifically for the purpose of making an oral rinse or mouthwash. Oxygen has a powerful effect on the 'bad' bacteria in the mouth. The directions on how to utilize these drops to make an oral rinse are included. Chlorine Dioxide Rinse For Better Dental Health? These drops are produced by a dentist who specializes in helping his patients fight bad breath. They come in a cobalt blue bottle for stability. 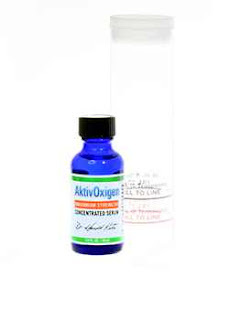 You can make a chlorine dioxide oral rinse with this formula. It's very simple. It just take 8 to 16 drops (16 is for max strength) and place them in the plastic mixing tube that comes with the drops (see picture to the right). Then fill with water or juice to the fill line. Yes, juice is ok. Pineapple is probably the best to use. But you don't HAVE to use juice, water is just fine. Yes, it IS important to dilute these drops. They are simply too strong to use undiluted. The purpose of using these diluted drops as a mouthwash is to create an oxygenated rinse that can kill anaerobic bacteria. Of course, stopping bad breath is one reason. Yet similar anaerobic bacteria are also responsible for causing cavities and gum disease (the number one cause of tooth loss). Of course, many people have other uses for CLO2. Chlorine Dioxide is what it is, after all. As mentioned before this is a stabilized formulation. You can also use a few drops in your oral irrigator to give it a 'boost'. In case you are curious, here is the entire ingredient list: Unflavored Active ClO2 in liquid form. Under the above described use, it will last for about 60 uses. So, there is enough there to useful to just about anyone who wants to use chlorine dioxide. There are three places essentially. Turns out, these 'bad bacteria' do not like oxygen. Therefore, oxygen turns out to be our friend. Obviously, we need it to breath. But many alternative health care people really believe in the power of oxygen. A home ozone generator is another source of oxygen. One bottle of this potent AktivOxigen serum can make about 60 doses of mouthwash for you - just follow the instructions that come with it. 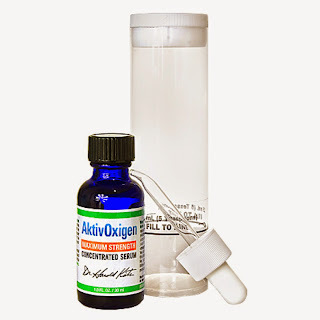 Aktiv-Oxigen is a CL02 - no flavor added. Use only about 8 drops to make a mouthrinse or for use in your Hydro Floss. I once had a customer tell me he obtained great results from this for a difficult dental health problem he was facing. I won't go into details about his private information. But, I mention it to let you know that people do believe it has been greatly beneficial to them.